Is it all too good to be true though? We see and read about a lot of wearables that pop up on crowdfunding sites, which just seem too ambitious an idea or simply leaves too many questions unanswered. If Actrek can really deliver on what it promises with its feature packed fitness device, then Fitbit, Jawbone, Misfit and the rest should be worried. US based startup Entanti features a team of developers and designers who have previously worked at the likes of Nokia, Sony, LG and HP. It's claiming Actrek can cram in over 50 features into its Pebble looking body that'll cover sports, sleep, nutrition, fitness and a whole lot more. Thanks to its patented sensor technologies and sophisticated algorithms the Actrek will open the door to features we've not really seen on most fitness trackers including the ability to monitor hydration, body fat, muscle index and bone mass. It claims to offer dedicated tracking for running, swimming, biking, basketball and other activities. The smart fitness features include virtual coaching and the ability to measure swing and acceleration. For sleep, it'll stop snoring (see video below) as well as measure other metrics at bedtime other fitness trackers currently don't offer, like body temperature and oxygen levels. Actrek's smart fitness system can take all of your data, crunch the numbers, and find the relationship between the tracked data and your overall fitness score to deliver reports on your progress. There isn't much in the way of details of the hardware, but we do know that the screen can pop out of the watch band and that it will be waterproof up to 10m so you can take it for a swim. It'll also have GPS on board and a heart rate monitor with the ability to take ECG readings. There's no mention of battery life at all though, which is concerning. The Actrek will be accompanied by a smartphone app with Android and iOS support to provide notification support and music control. 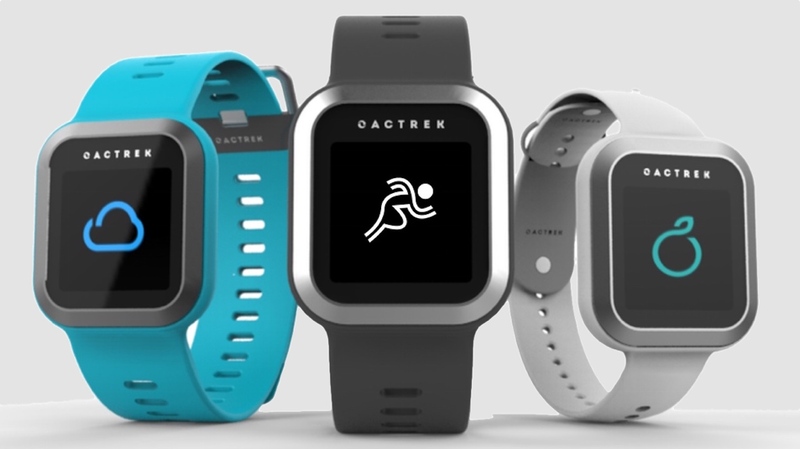 The Acetrek SDK will be open for developers to create additional features for the app and the wearable device too. Actrek's Indiegogo campaign is already up and running and it's managed to hit 50% of its $80,000 goal. $199 will get you a unit at a discounted price with the retail price set at a more expensive $279. A word of warning though. Actrek has already made an appearance on Kickstarter and fell $40,000 short of its target $100,000 goal. We'd suggest having a look at that campaign before handing over your money.